Amaiya Zafar has already won her biggest fight and she hasn’t even stepped in the ring yet. 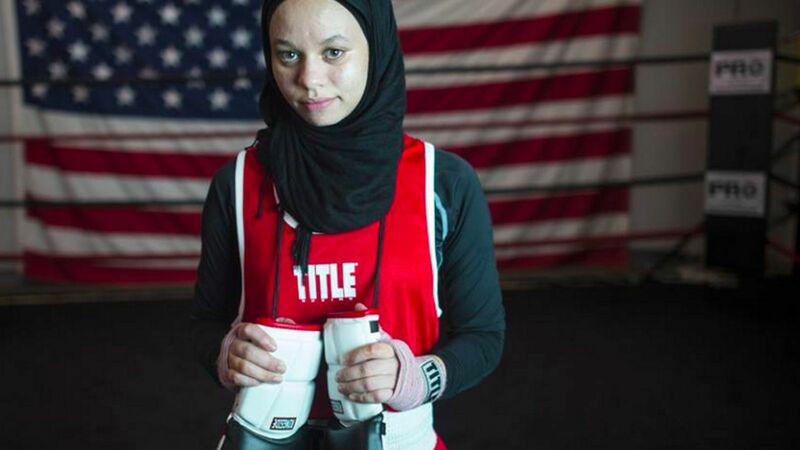 Zafar — a 16-year-old Minnesota Muslim teen — was barred from competing in boxing matches and tournaments since she wore a hijab, due to USA Boxing’s religious head covering rule. But on Thursday, the Council of American Islamic Relations announced it has been informed that USA Boxing has provided an exemption for Zafar. Zafar wants to compete in the 2020 Olympics in Tokyo, but that can’t happen unless the International Boxing Association lifts their ban on religious attire. While USA Boxing is a member of the U.S. Olympic Committee, the AIBA governs all forms of boxing internationally. “We welcome this partial victory and look forward to the day when athletes of all faiths may compete nationally and internationally while maintaining their religious principles,” CAIR communications director Ibrahim Hooper said in a statement. But while Zafar hasn’t won her first match yet, she’s already on track to being the first American hijabi competitive boxer. When Zafar steps in the ring, she isn’t just fighting for herself – she’s fighting for the millions of young Muslim girls who have been inspired by her. “She fought for other Muslim youths,” Haile said. Woman Booted From Hair School For Wearing Religious Head wear?